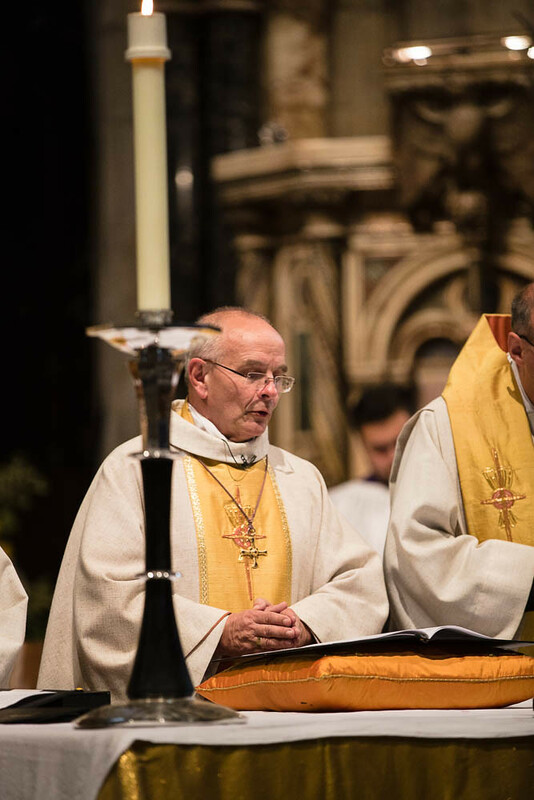 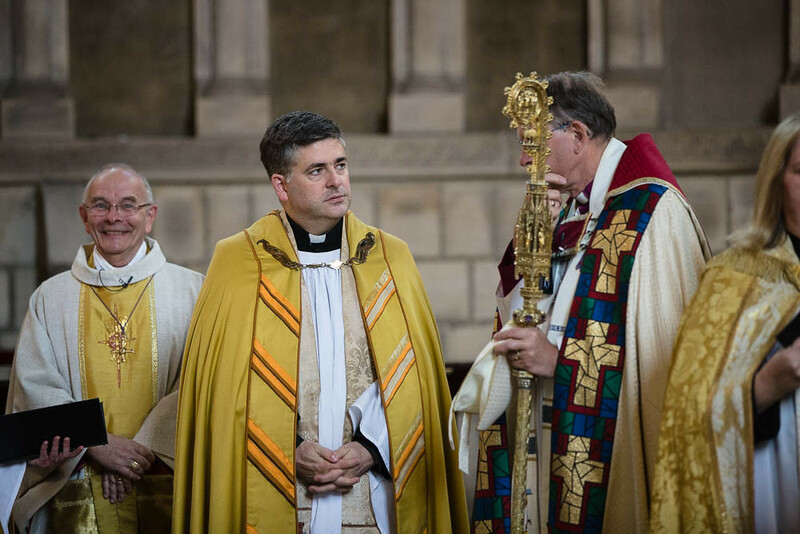 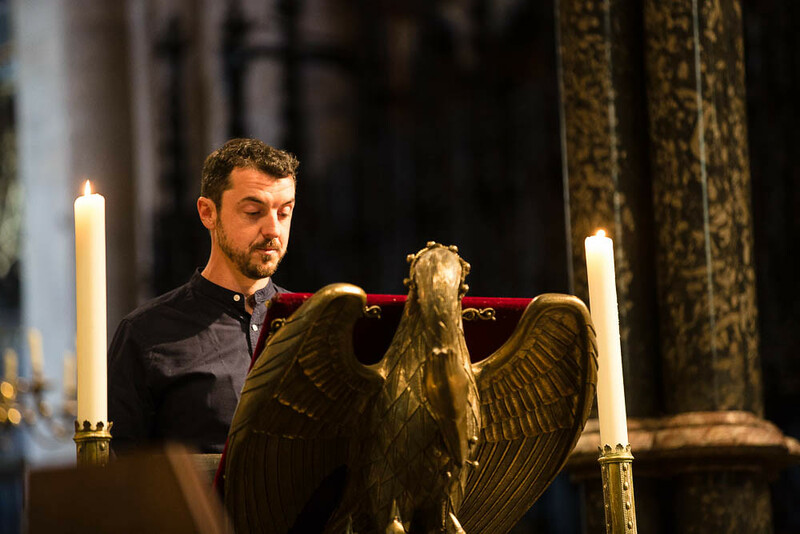 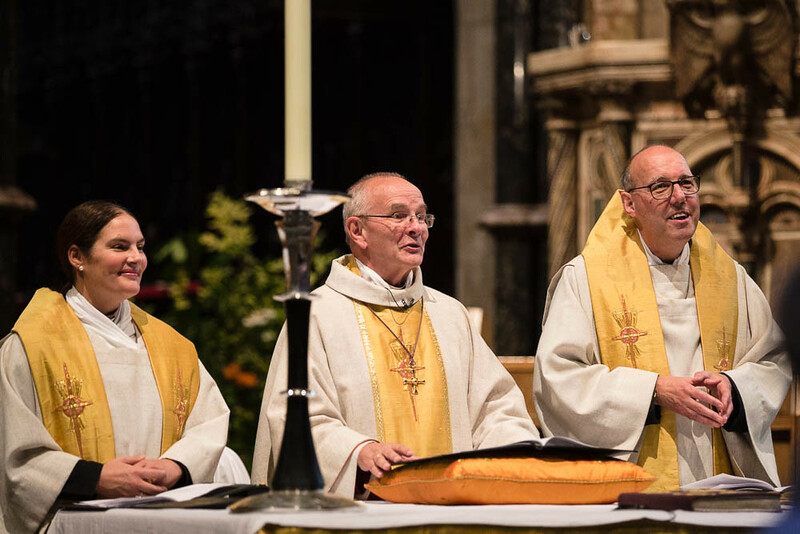 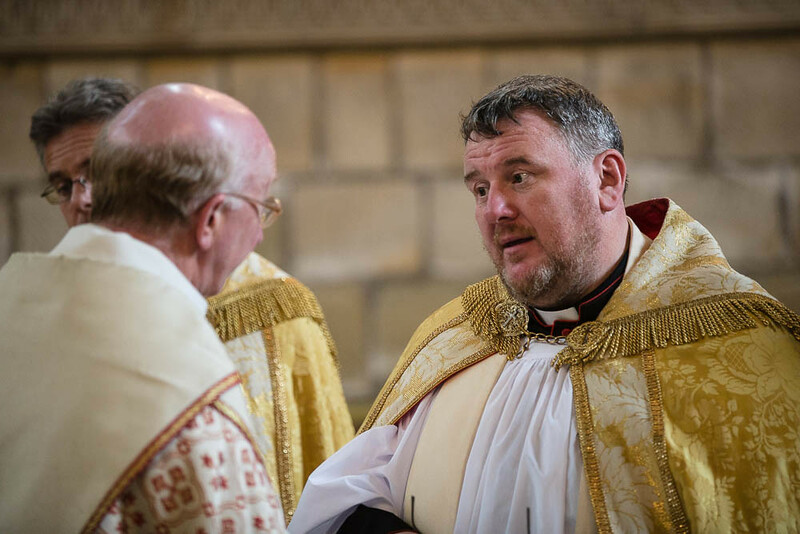 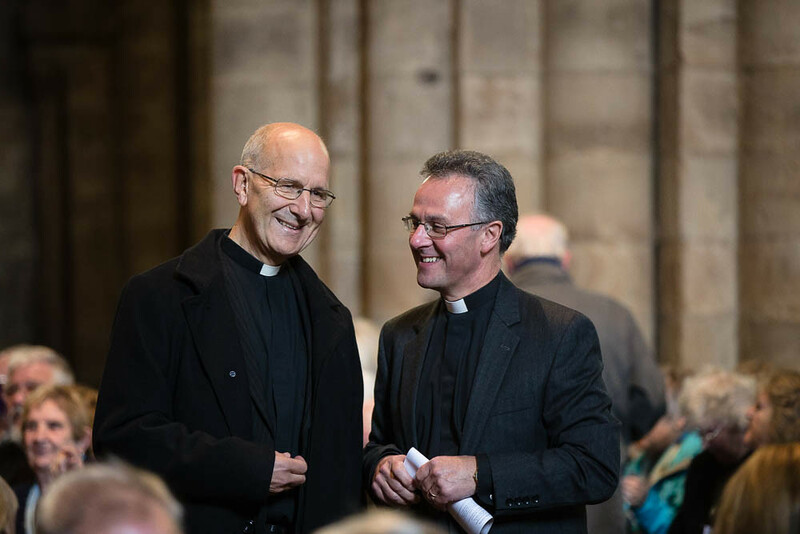 The weekend of the 22nd and 23rd of September 2018 will be remembered long into the future in the diocese of Durham as it was the weekend where it formally said farewell and thank you to The Rt Revd Mark Bryant for his ministry as Bishop of Jarrow over the last eleven years. 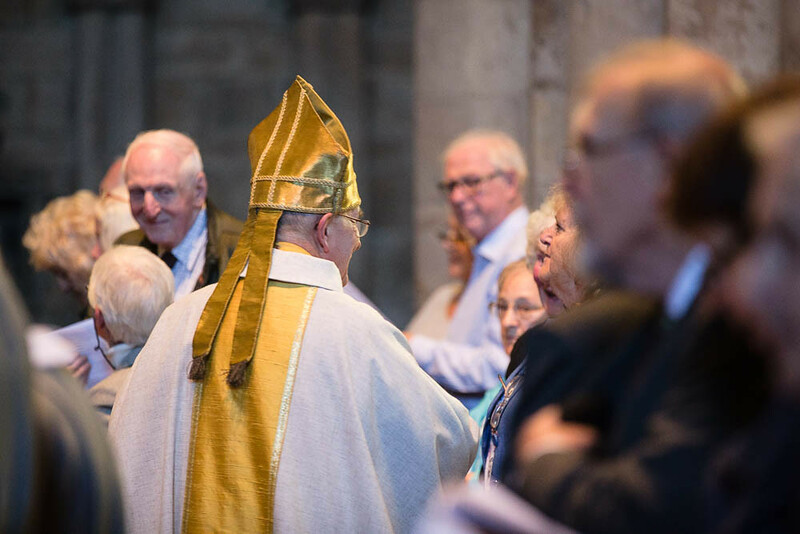 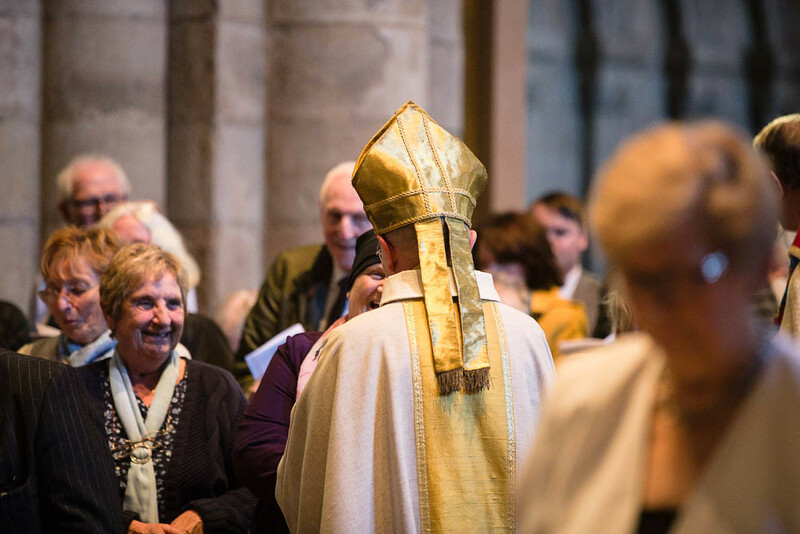 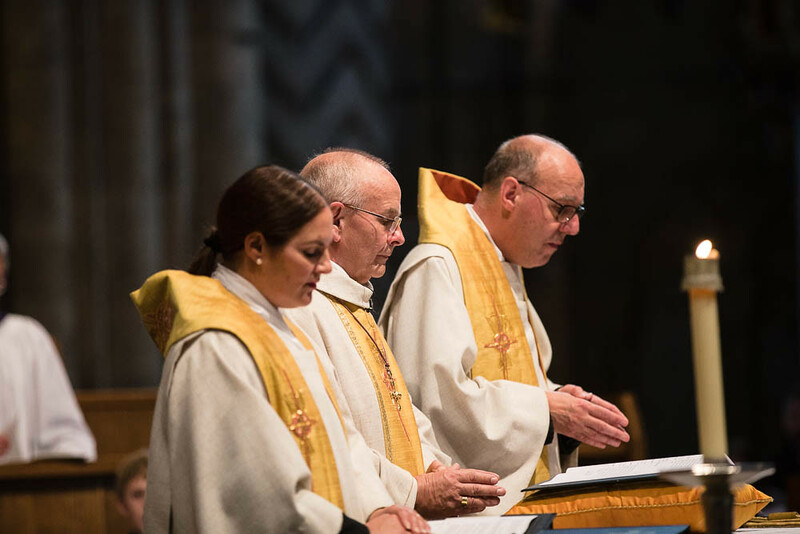 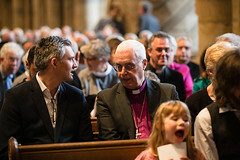 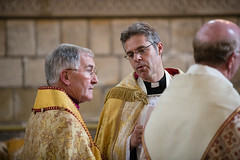 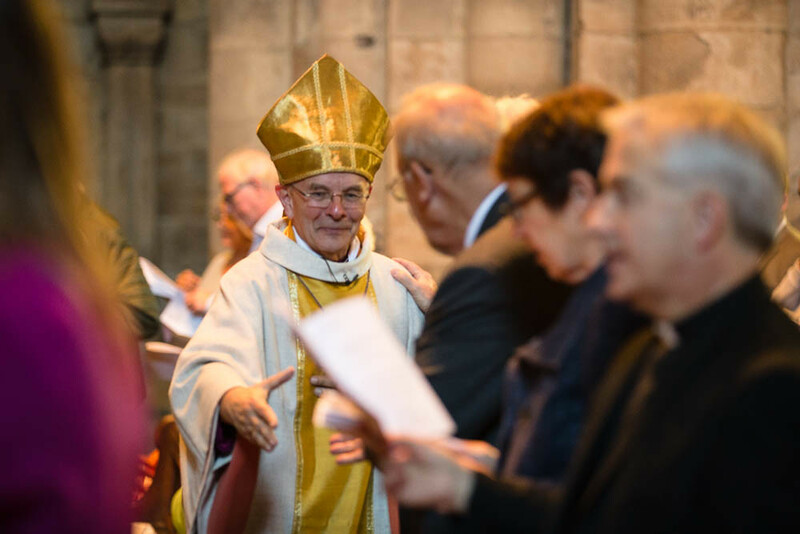 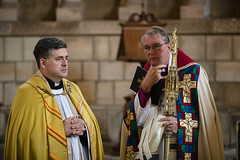 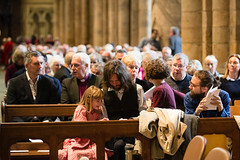 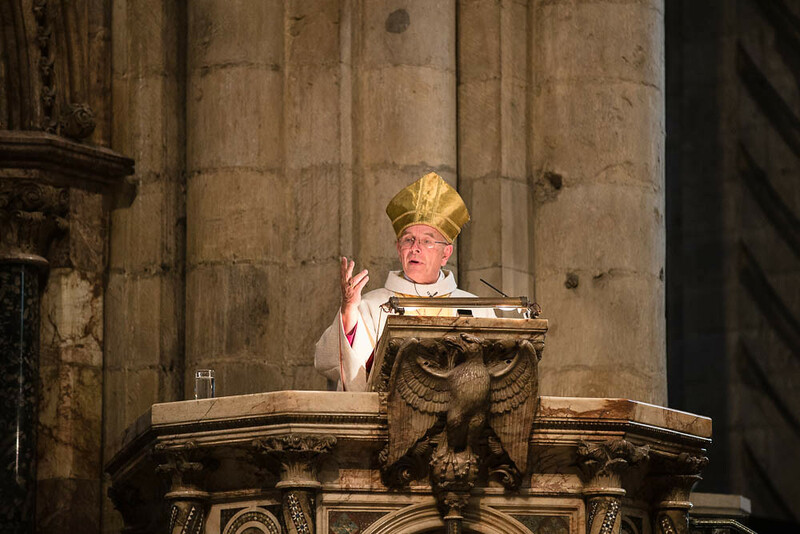 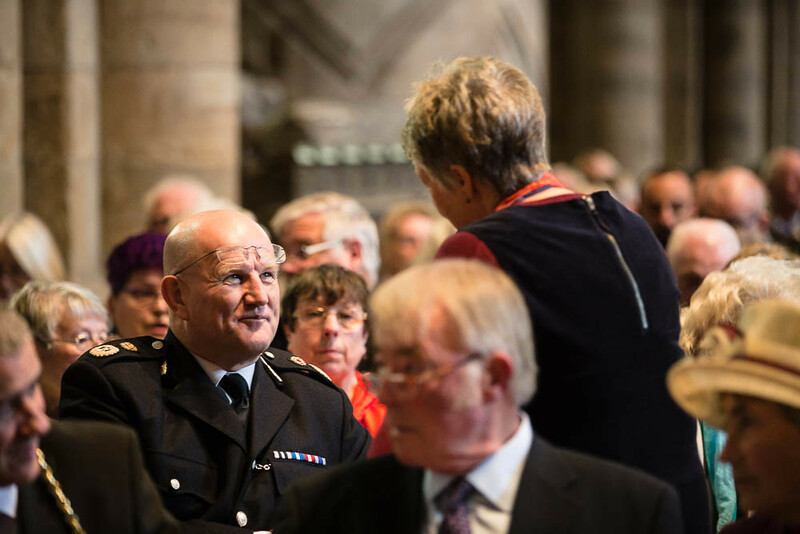 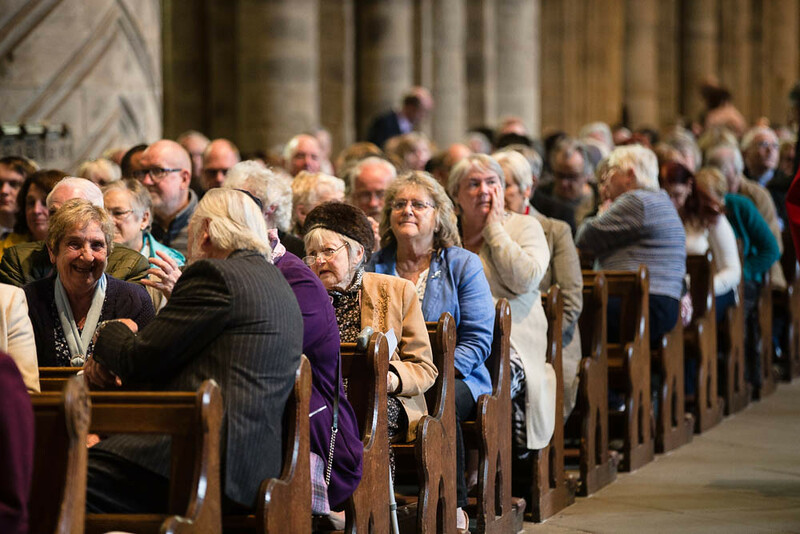 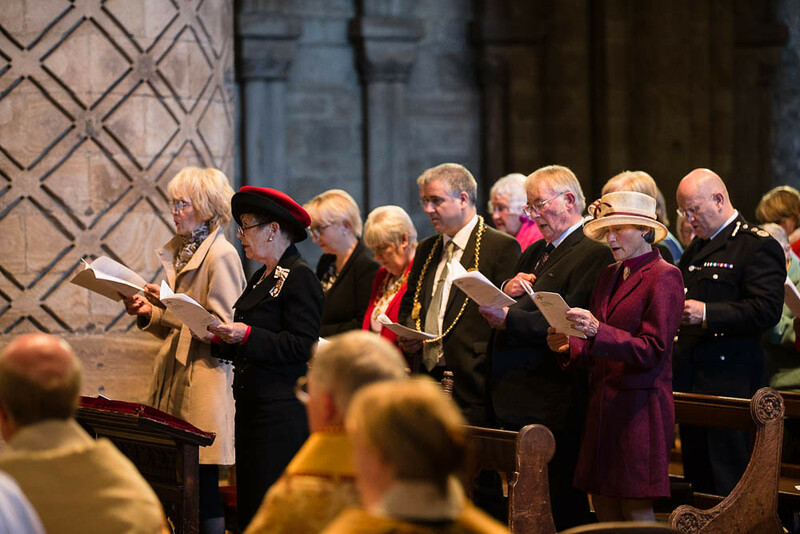 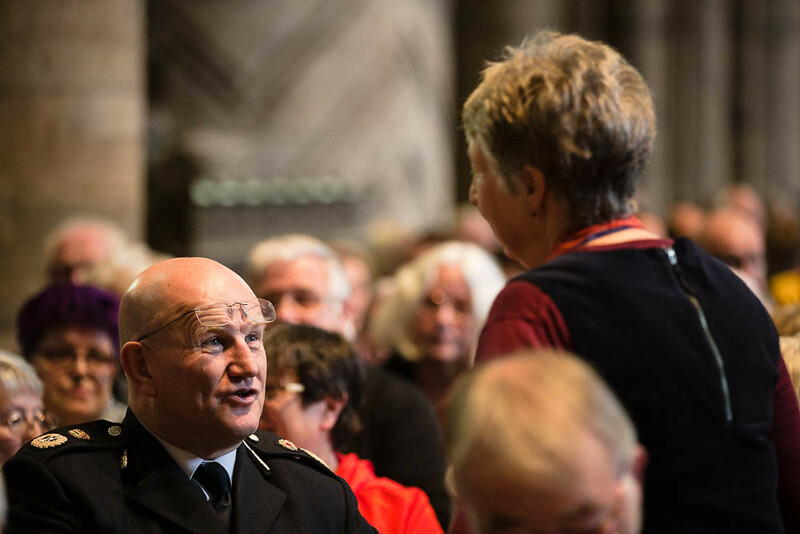 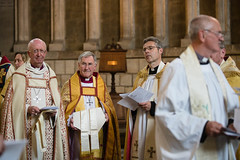 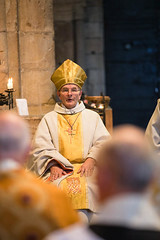 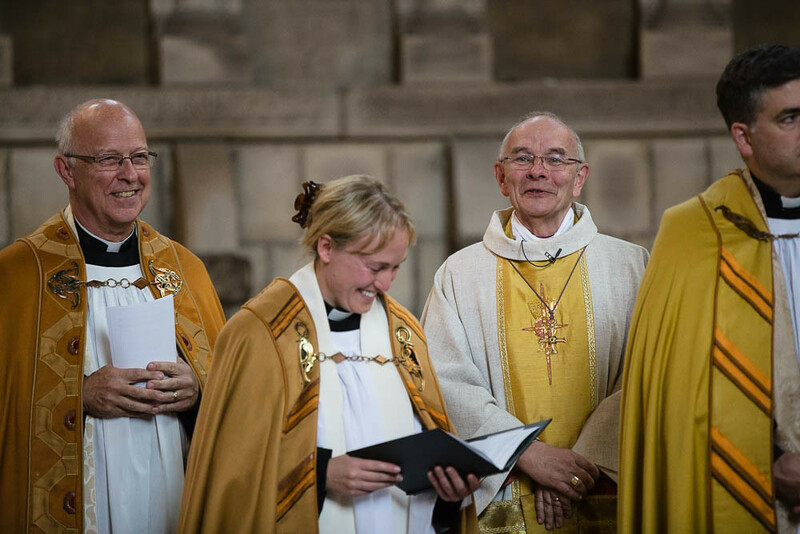 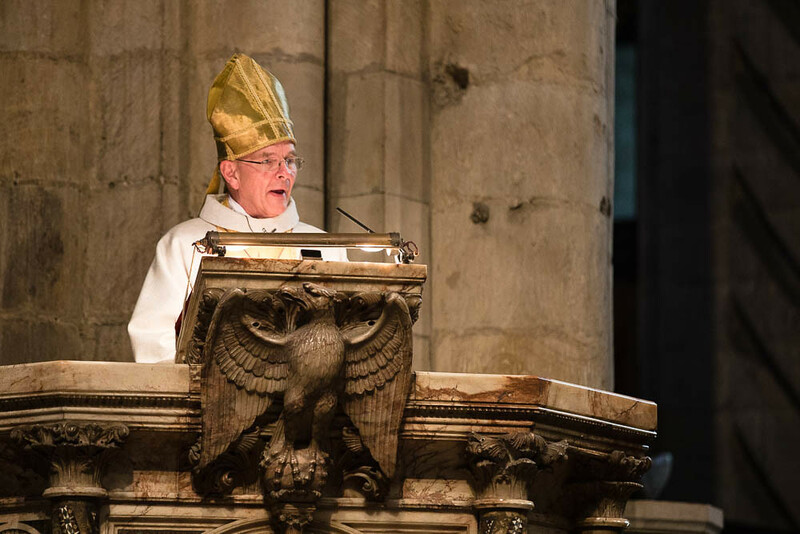 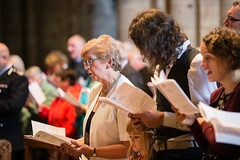 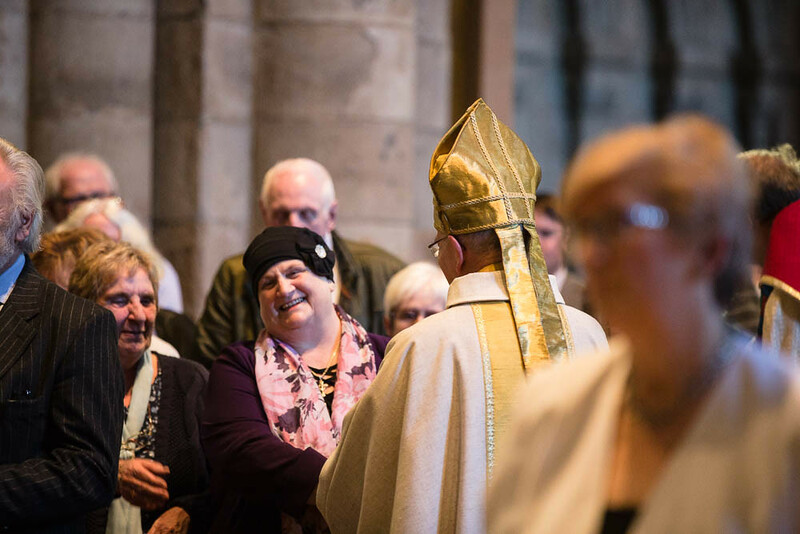 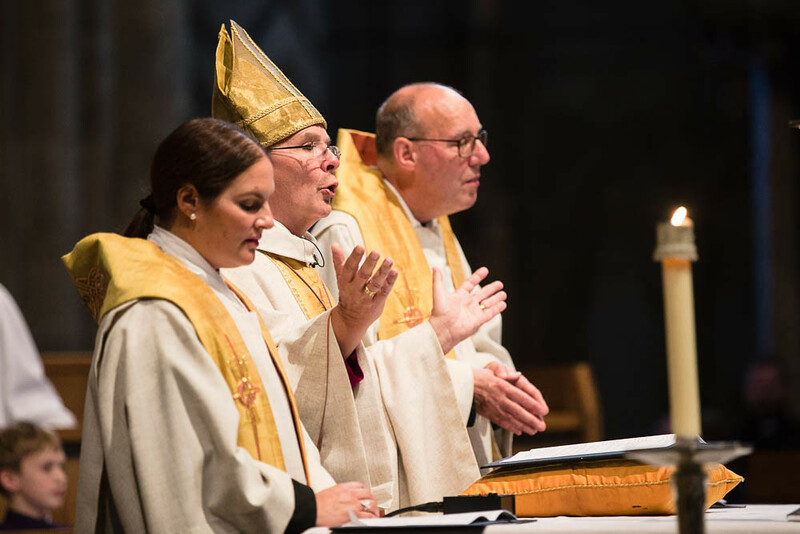 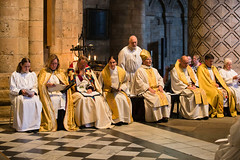 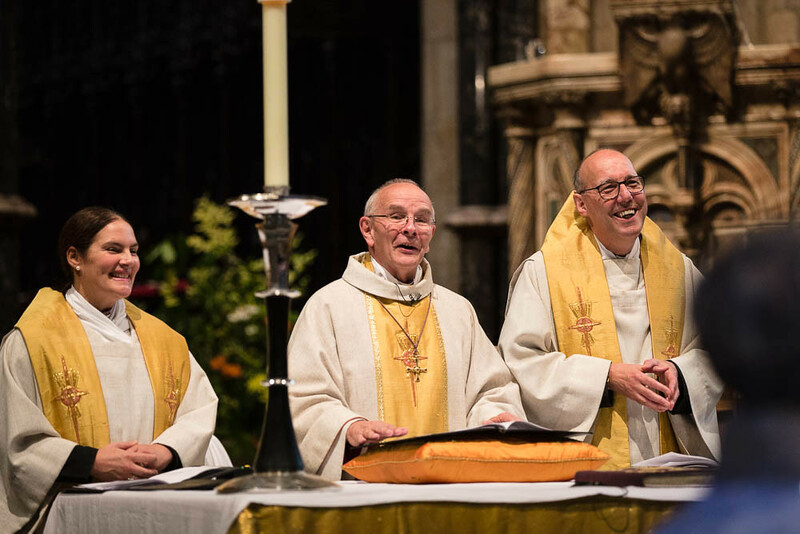 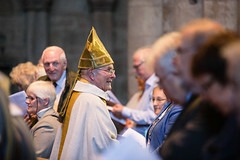 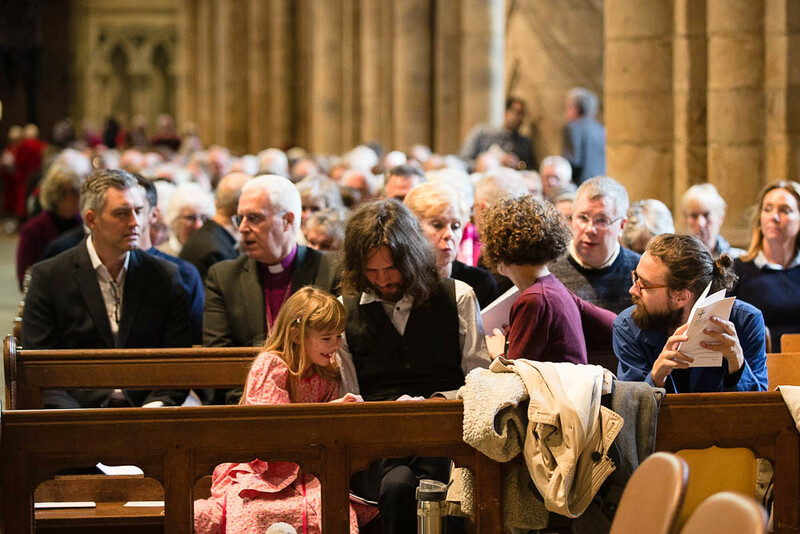 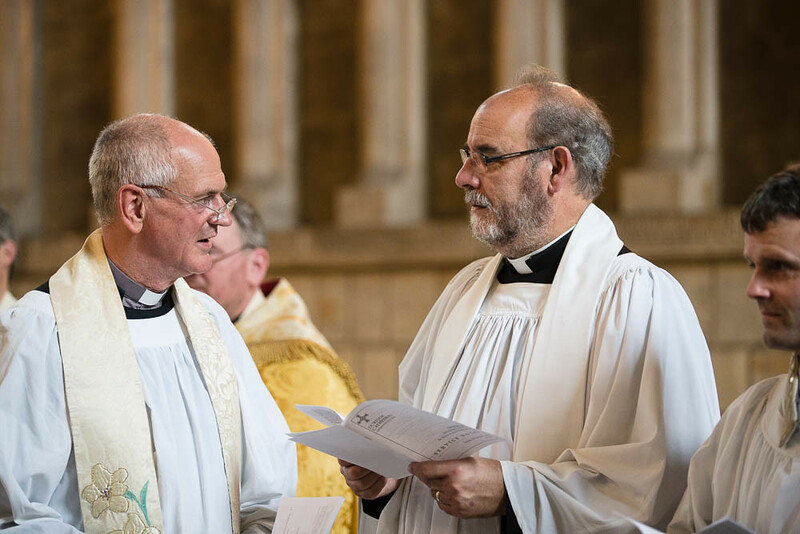 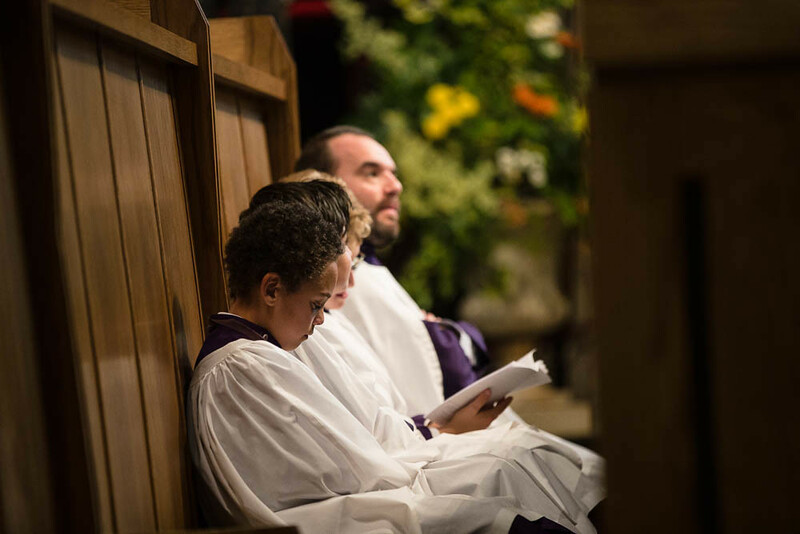 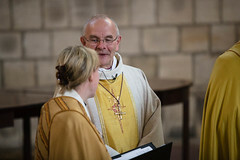 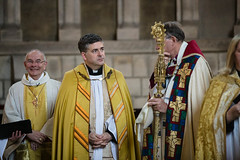 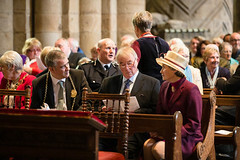 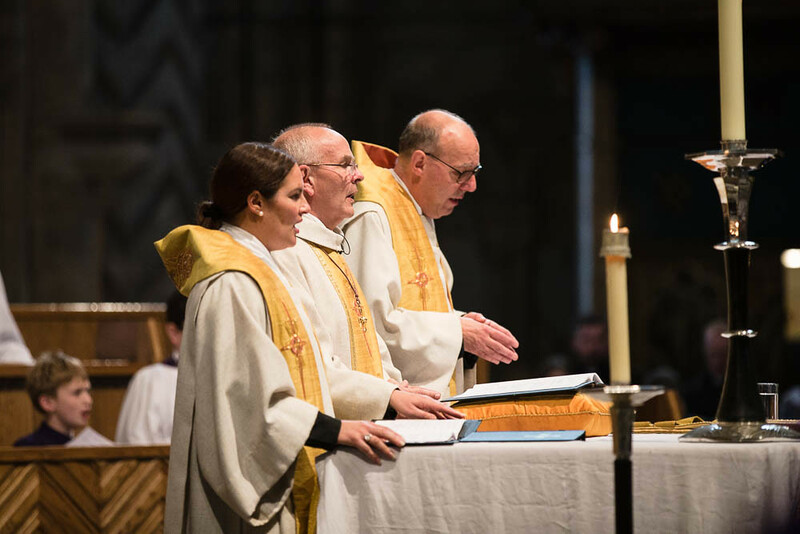 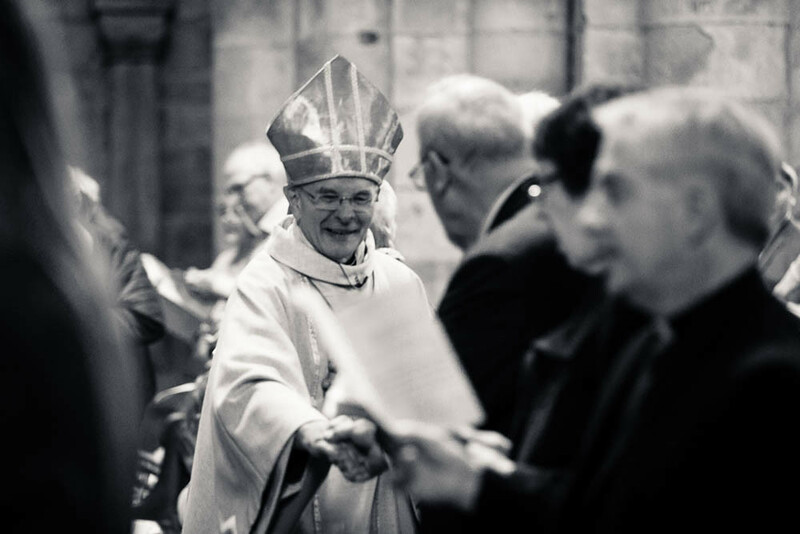 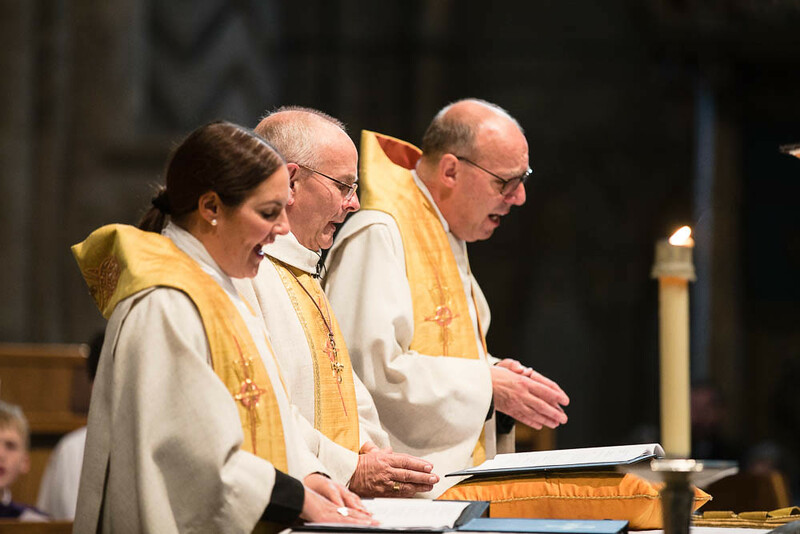 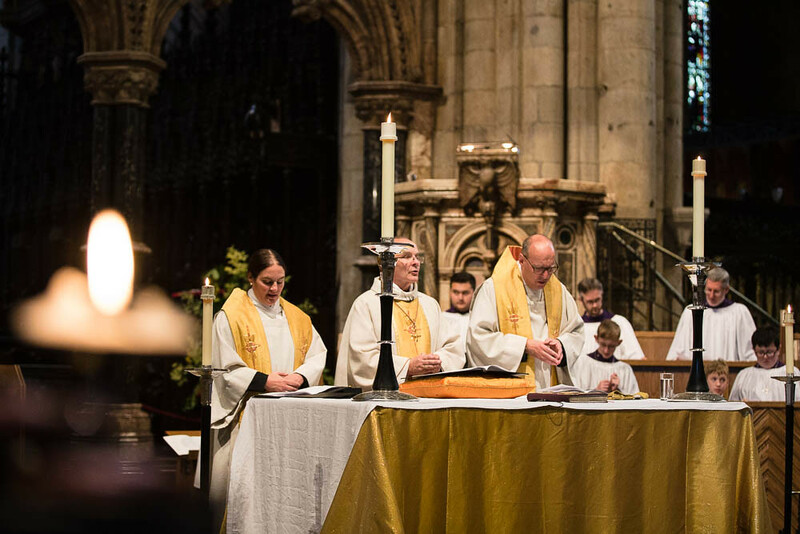 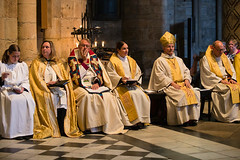 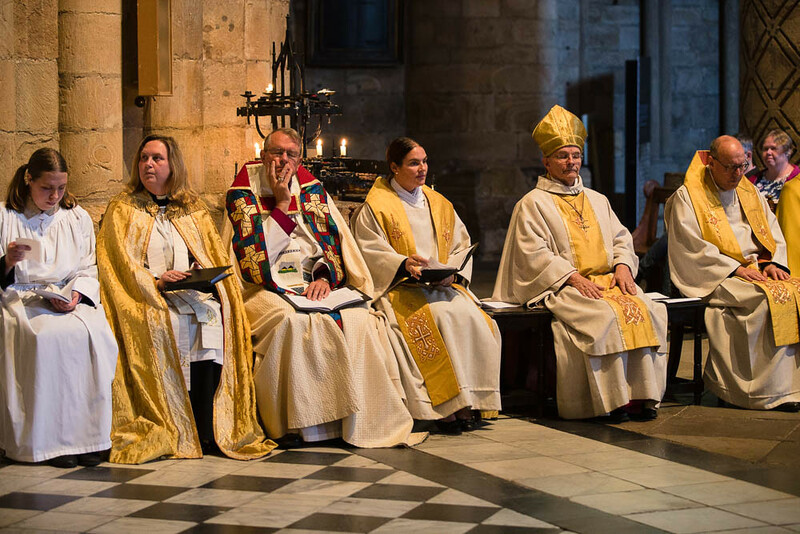 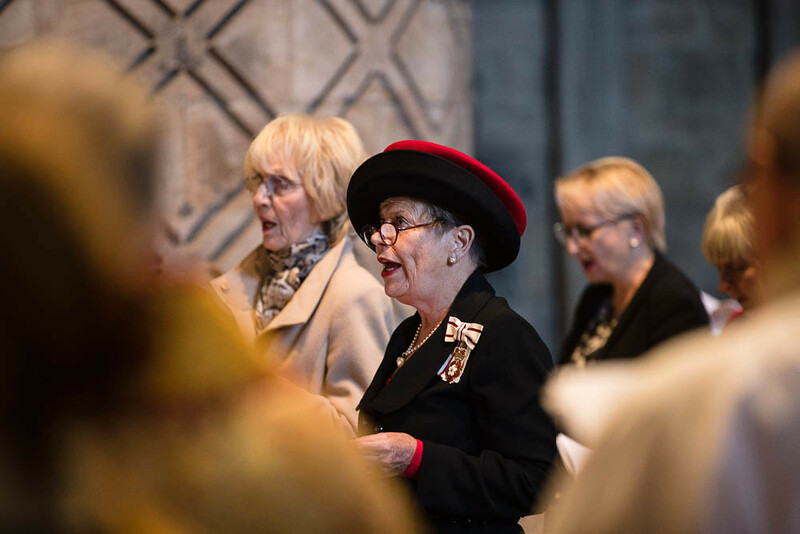 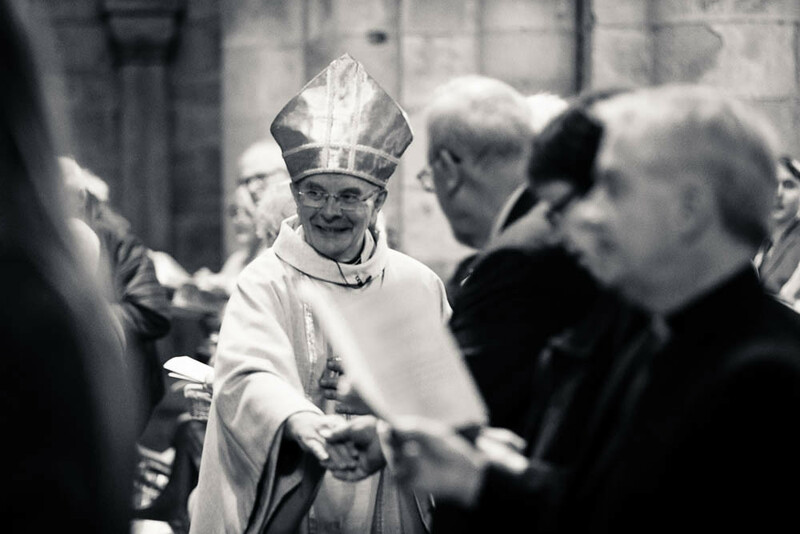 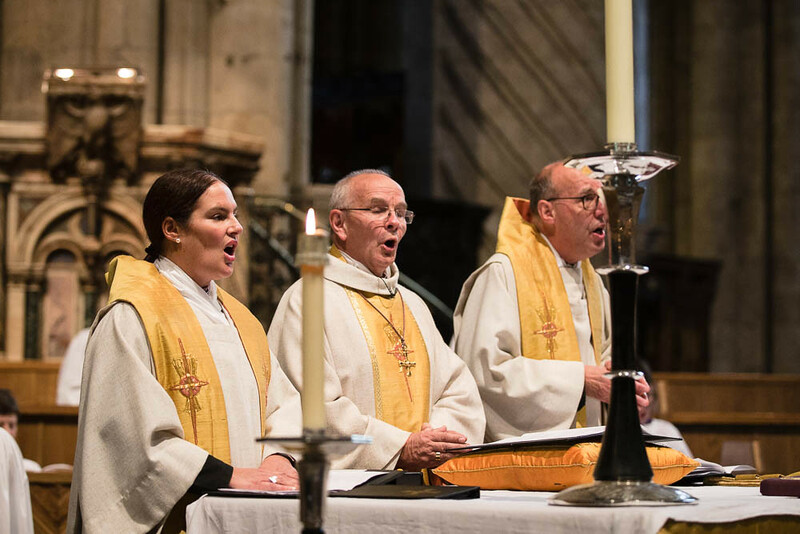 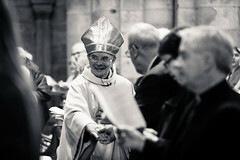 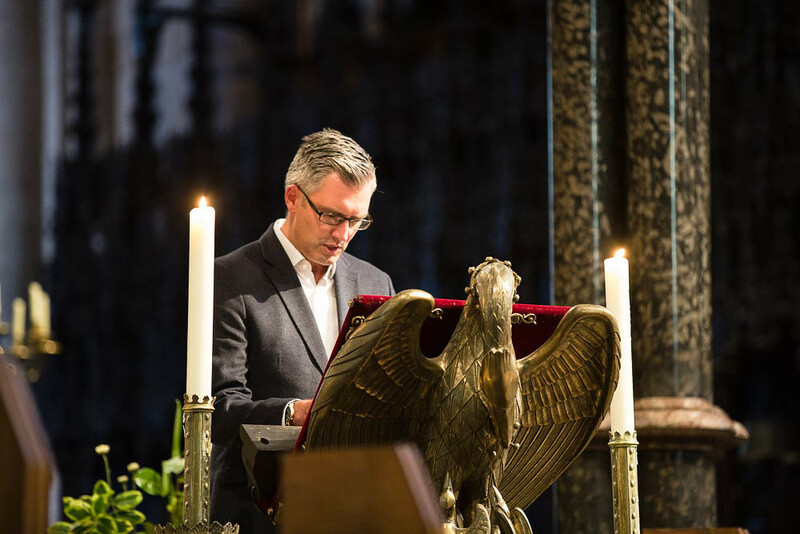 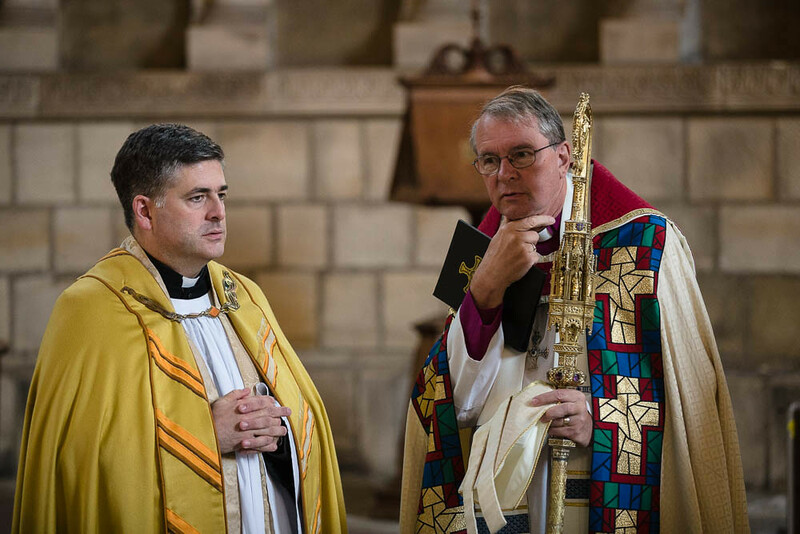 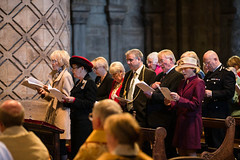 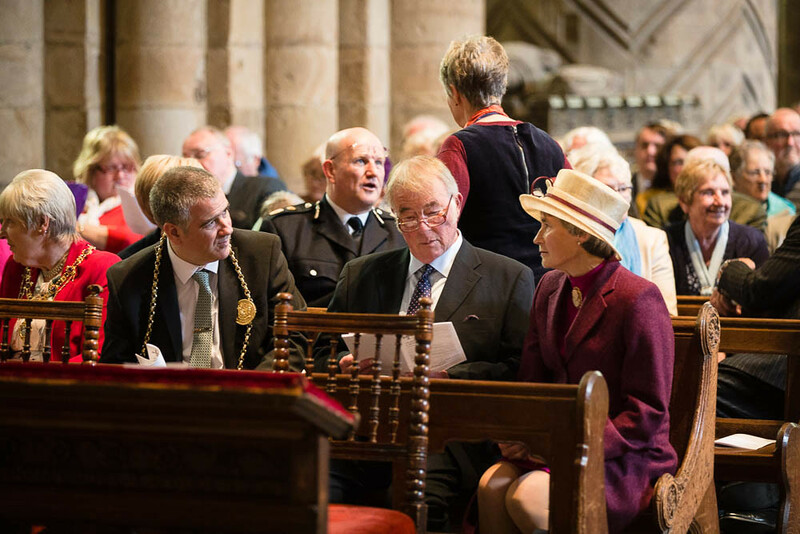 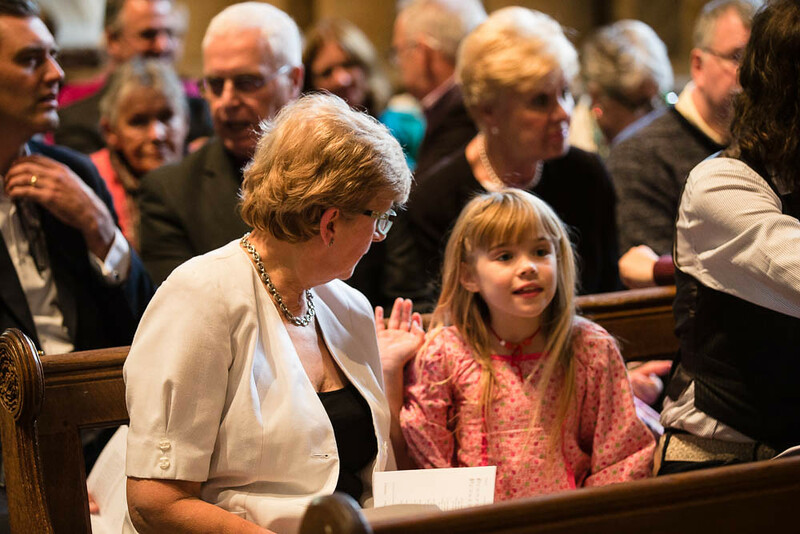 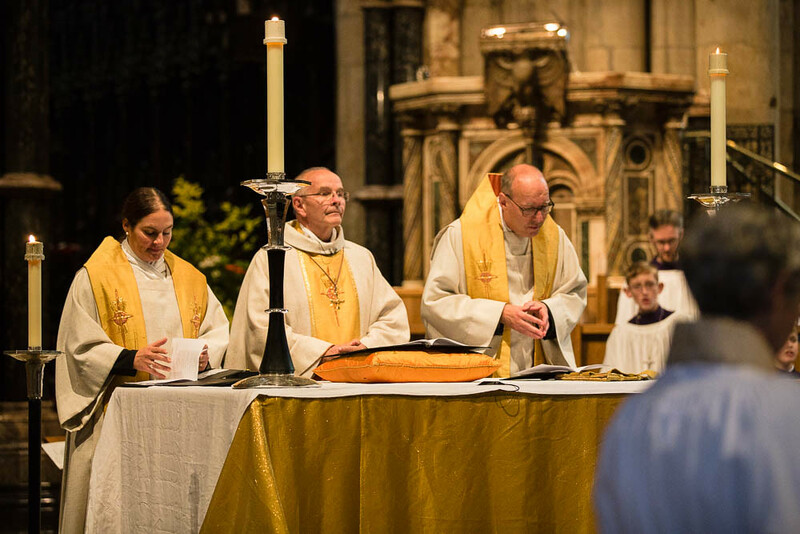 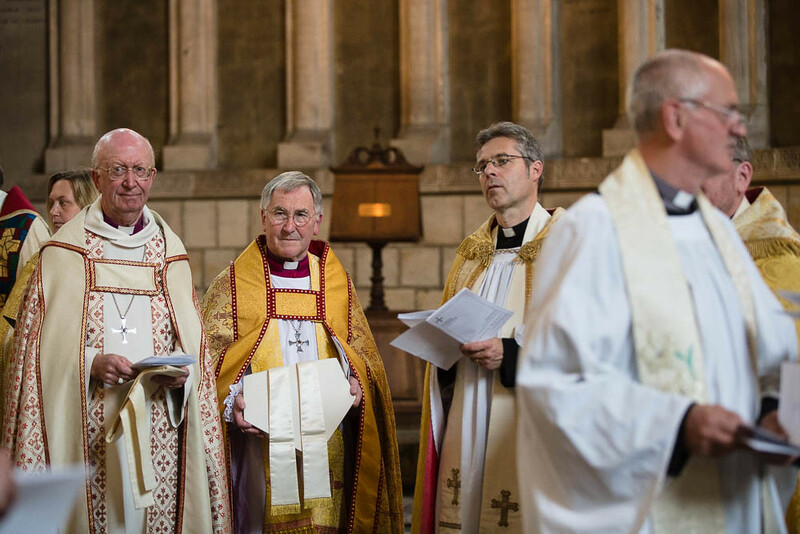 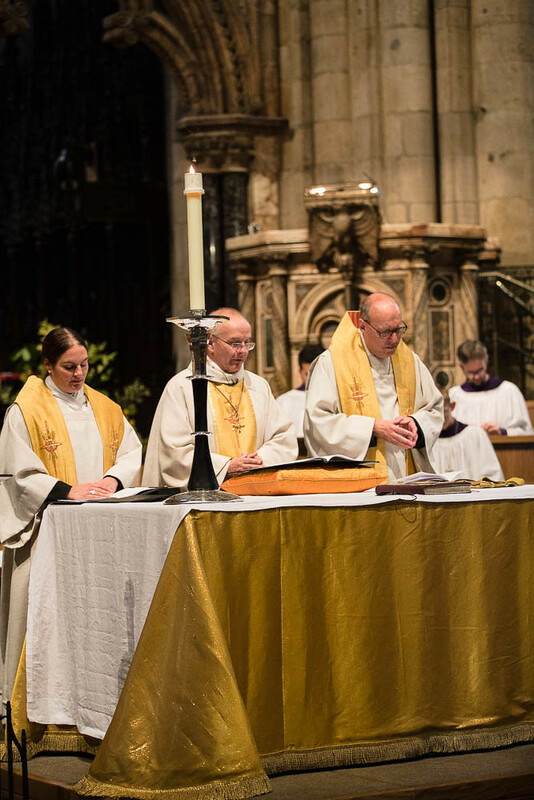 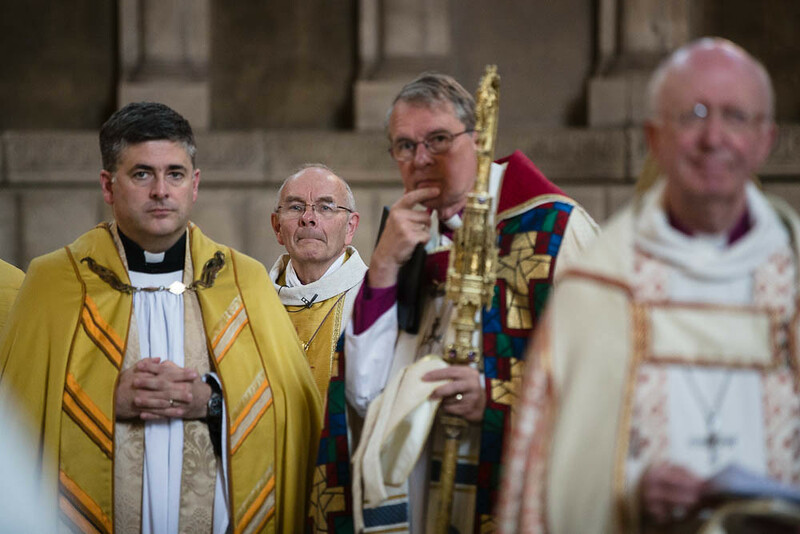 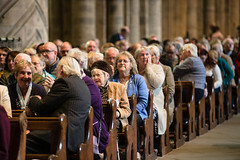 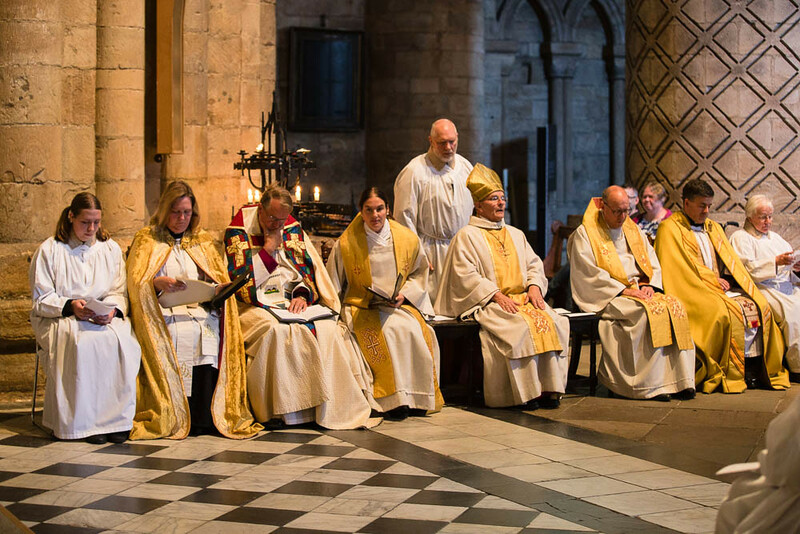 At services at Durham Cathedral, Bishop Mark said his first goodbyes at the annual Readers Service on Saturday 22nd and then the whole diocese gathered on Sunday 23rd to be part of his last Eucharist and to wish him and his Wife Elisabeth a fond farewell. 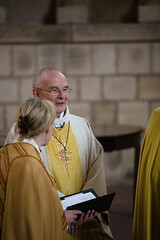 Bishop Mark gave the sermon in which he recounted the last 11 years in the diocese saying he couldn’t imagine how he was going to start thanking God for the amazing time he and Elisabeth spend here. 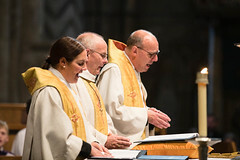 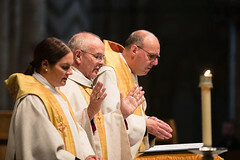 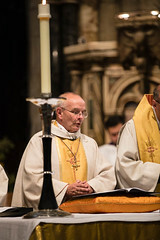 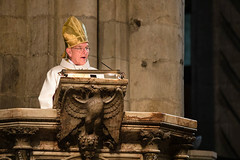 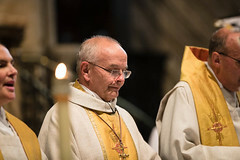 He talked of people being raised up by there encounters saying: “I want […] to express my thanks and admiration to the clergy and people of this diocese for all that you do to engage in that task of raising people up, by proclaiming liberty to captives and the recovery of sight to the blind. 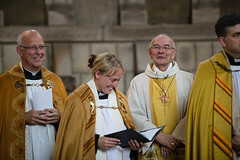 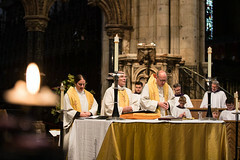 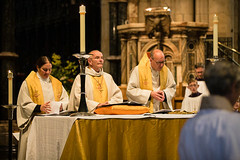 Bishop Mark presides at his last Eucharist service in Durham Cathedral with Revd Canon Sophie Jelley and Rev Canon David Kennedy. 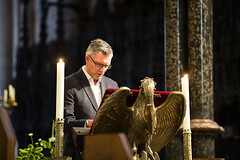 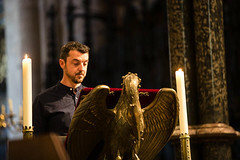 Pictures from the Reader service can be purchased here. 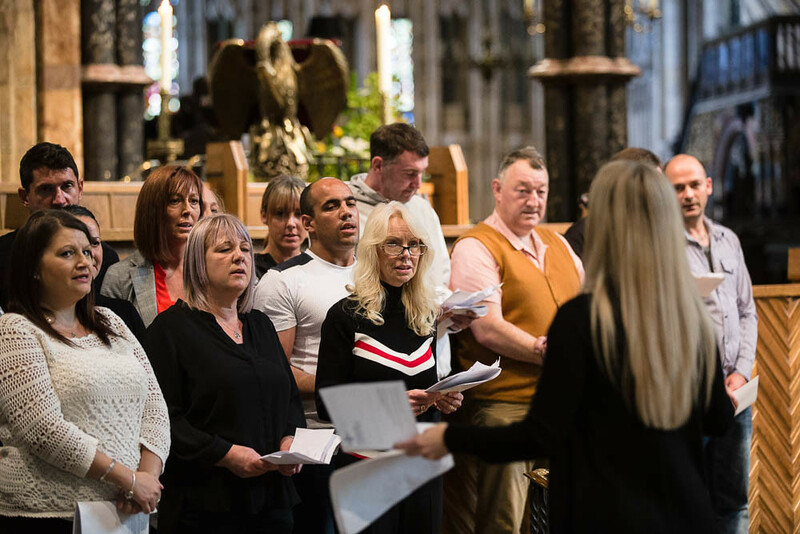 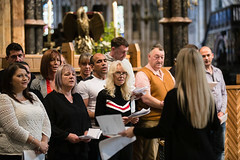 Pictures from the Farewell Service can be purchased here.